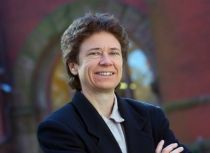 Jennifer Hunt came to Rutgers in 2011 after previous positions at McGill University (2004-2011), the University of Montreal (2001-2004) and Yale (1992-2001). She recently was Chief Economist of the U.S. Department of Labor. She received her Ph.D. in Economics from Harvard in 1992 and her Bachelor's degree in Electrical Engineering from the Massachusetts Institute of Technology in 1987. She is a Research Associate at the National Bureau of Economic Research in Cambridge, Massachusetts, a Research Fellow at the Centre for Economic Policy Research in London, and is on the Scientific Advisory Council of the American Institute for Contemporary German Studies in Washington D.C. and the Institut für Arbeitsmarkt- und Berufsforschung in Nuremburg. She has done research in the areas of employment and unemployment policy, immigration, wage inequality, and transition economics. She is currently investigating determinants of crime and corruption. Jennifer Hunt joined CReAM as an external fellow in November 2007.